Gov. Bruce Rauner speaks at the Illinois State Fair in Springfield in August 2016. 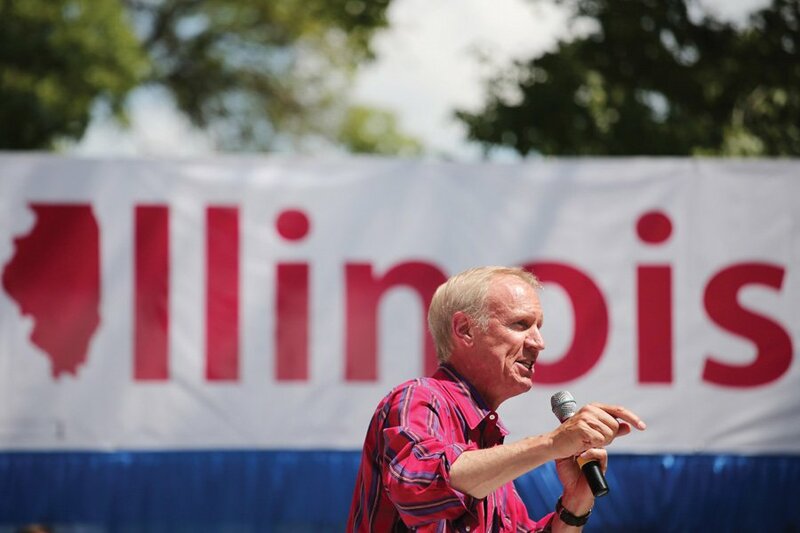 A local Republican organization endorsed Rauner for governor ahead of the March primary. A local Republican organization announced its endorsements for the March primary, including Gov. Bruce Rauner, though many area Republicans have been unsatisfied with the work the incumbent has done in office. The Evanston Township Republican Organization endorsed Rauner for the March primary. Paul Miller, a supporter of the Evanston Township Republican Organization and president of Allied Media Solutions said they mostly put their support behind the governor because they felt Rauner is the only candidate with a chance to win. “If Republicans are going to have any chance of keeping the office, they really do have to go with Bruce Rauner because of where he is on social issues and the money he has to run a campaign,” he said. The Republican organization formed in the 1970s and functions today as the Evanston representative of the Republican Party. Democrats currently have a majority in the Illinois House and Senate, so the organization would like to see House Speaker Michael Madigan (D-Chicago) — who has held the position for over 30 years — replaced, Evanston Township GOP committeeman Blair Garber said. Weinberg sophomore Dominic Bayer, a member of College Republicans, said he will not support Rauner in the primary because of several controversial bills he passed in 2017. Rauner passed HB40, which ensured access to legal and safe abortions in Illinois should the U.S. Supreme Court overturn its ruling in Roe v. Wade. It also repealed provisions that limit health care options for women who receive coverage under Medicaid and in-state worker health plans. The Evanston organization also endorsed Lt. Gov. Evelyn Sanguinetti for re-election and other Republicans running for local and state offices. However, Miller is concerned about the quality of the Republican candidates. Garber said he would like to see the Republican party take nine seats in the House. The party currently holds 51 of the 118 total seats, so the additional nine would give Republicans the majority. However, Garber said he expects the outcome to fall short of his goals.